Oil Portraits require a minimum of two to three in person visits. The first visit occurs in the RKH Fine Art studio or at your location. We explore clothing choices, background and other elements. Once the portrait is begun in earnest, a final sitting of three hours takes place. The portrait is completed within about six months. Charcoal Portraits are drawings rendered in gray on the museum standard archival paper. The quality of these tonal drawings is classic and timeless. Charcoal Portrait drawing can be professionally framed under glass for archival preservation. 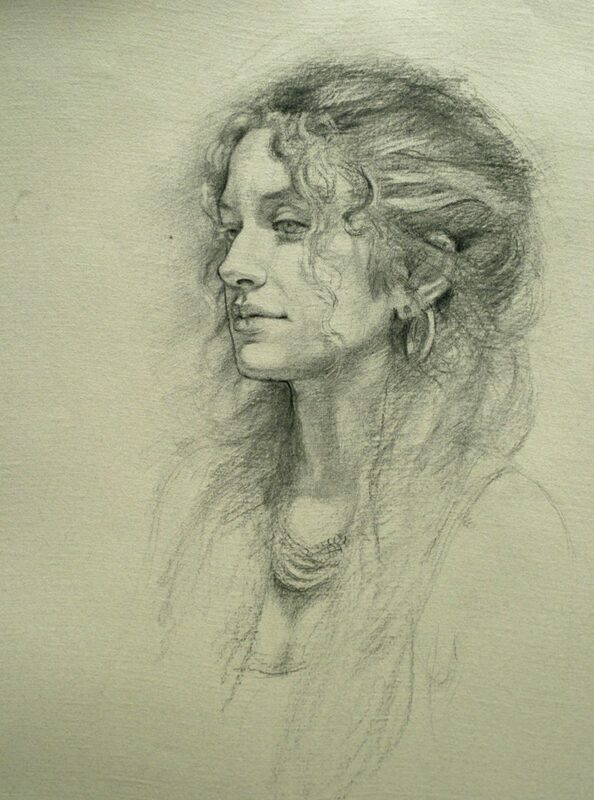 A portrait drawing in charcoal would take place over the course of five or six hours. The sittings would last 20 minutes at a time with five minute breaks. Call us at 1-828-664-1828 to schedule your fist sitting today. Contact to find out more.